We asked major players in the connected vehicles marketplace for their views on expected deployment timelines, remaining challenges such as reliable positioning technology, integration with existing systems, and the implications on autonomous vehicle technology. The following transportation article captures the views of major players in the CV marketplace on expected deployment timelines, remaining challenges such as reliable positioning technology, integration with existing systems, and the implications on AV technology. General Motors is the first automaker to offer V2V technology in North America with the 2017 interim model year Cadillac CTS. These V2V-equipped vehicles share information to alert drivers of upcoming potential hazards. Cadillac’s V2V uses DSRC and GPS, and can handle 1,000 messages per second from vehicles up to nearly 1,000 feet away. For example, when a car approaches an intersection, the technology scans the vicinity for other vehicles and tracks their positions, directions and speeds, warning the driver of potential hazards. GM continues to make technology investments in V2V to achieve greater global market volumes. We have been developing V2V technology for the past several years and are exploring potential enhancements to the V2V features currently offered. Nearly all global OEMs are developing V2V today, but market readiness, adoption and technology maturity vary greatly between regions and manufacturers. I expect other OEMs will begin to deploy V2V systems beyond model year 2017. We believe that autonomous vehicles will require some level of connectivity — there is no way around this. V2I connectivity is required for precise map updates, emergency call alerts, GNSS corrections, remote diagnostics, traffic and weather updates, and many more applications — both existing and emerging. V2V communication will also be an important technology to improve safety and reliability as autonomous vehicles become more broadly deployed. 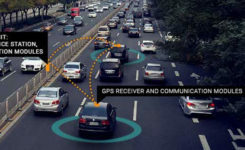 As a technical challenge, the limitations of GNSS are certainly understood by automakers for applications such as vehicle navigation, stolen vehicle tracking and emergency response services. Many recent advances in vehicle positioning technology mitigate the effects of urban multipath and poor sky view. These include higher quality micro-electro-mechanical systems (MEMS) sensors, low-cost lidar, visual inertial odometry, wheel encoders, precise maps and more GNSS satellites in view. We believe that high-confidence lane classification is becoming possible even in dense urban environments, thanks to these and other advancements. Infrastructure augmentation will certainly help, and these investments are gradually being made by state and local governments. However, technology development occurs at a faster pace inside the vehicle versus along our roadways. There is growing demand for low-cost, high-quality automotive cameras and radar components that will be critically important for CV and AVs. I expect some degree of sensor data sharing over V2V will enter the industry within a 4–5-year time frame. Today, not all automotive cameras are designed to provide real-time video output across a high bandwidth interface such as low-voltage differential signaling (LVDS). Furthermore, DSRC protocol and LTE Release 14 are not yet broadly accepted among competing OEMs. V2V innovations will occur as OEMs see what is possible, and customer demand for safety and reliability increases. Once the auto industry has passed the 50% milestone for market penetration of V2V vehicles, the rate of adoption will be much higher for new vehicle builds. Denso’s autonomous vehicle research and development ranges from head-up display to voice recognition and human machine interfaces. As we know, GM offers V2V in the current model year CTS, and Toyota deployed ITSConnect in Japan in 2016. So, multiple OEMS have cars on the road and appear to see the value of V2V. A retrofit V2V, a universally acceptable U.S. National Highway Traffic Safety Administration (NHTSA)-compliant solution that could be installed at a dealership, is an interesting concept that has been around in recent years. This will allow OEMs to comply with the rule much quicker. However, that concept is easier said than done, and it hasn’t been the focus of the industry up until now. I see connectivity as nearly a requirement to get to highly AV in the future. On a limited-access highway, connectivity is probably not a requirement, as there are predictable and infrequent “high anxiety” encounters. In an urban setting, however, many other elements complicate the necessary behavior and reaction; and therefore I see the most value from connectivity. Sensors such as cameras can detect the state of a traffic light with some level of certainty, but often the situation is complicated, such as the need to differentiate between a straight versus a turn signal. Even in highway scenarios, we can see how connectivity can favorably impact use cases like truck platooning and cooperative automated cruise control. I envision V2V as part of a typical in-vehicle sensor suite at some point without exception; vehicles will eventually communicate what they see with their sensors to others via DSRC. Denso holds a patent that proposes to use on-board sensing to detect the presence of unequipped vehicles and send a proxy basic safety message (BSM) to other vehicles through DSRC. In the V2V NPRM, NHTSA defines benefits in terms of lives saved under full penetration, but we believe benefits can be shown under much lower levels. For example, in the Ann Arbor Safety Pilot, even with under 5% penetration, anecdotally the University of Michigan buses averaged about one warning every 150 miles during the trial, a significant number of warnings. We think the best-case U.S. V2V deployment scenario might be 2021 — but given the challenges in security management, the ongoing testing of spectrum sharing by the Federal Communications Commission (FCC), and the lack of infrastructure support — we think an even later commencement is likely. This means that early 5G deployments will already be beginning. It is worth noting that the NPRM provides for alternative technologies as long as the performance requirements are met. The interest in DSRC in Europe has waned significantly, and Toyota appears to be the only company aggressively investing in Japan. China appears to be heading towards 5G for V2X. In our view, given the vast uncertainties, it makes little sense to proactively add a box that will add cost along with driver distraction and security vulnerabilities. Vehicles will benefit from connectivity regardless of the technology used, but many more miles must be driven before a level of sufficient confidence is reached to integrate V2V with safety systems. We believe DSRC-based V2V is decades away from delivering a reliable and warrantee-able or life-saving value proposition. Even NHTSA has suggested it may take as long as 20 years before significant value is returned to the manufacturers, let alone the consumer, making the investments today. We do not think the industry is prepared to integrate safety systems with V2V for a broad range of reasons — GNSS vulnerabilities in urban canyons being one of them. This is the scenario in which additional sensors and high-definition maps can add to location accuracy. Details not only on the road, but also on the location and geometry of buildings, trees, street furniture and more can be gathered by sensors during the mapping process. The vehicle camera and/or lidar sensors can then be used to position the vehicle against this map. We think a base map will be generated by the mapping entity using vehicles equipped with high-quality sensors and location technology, and then this will be updated by user-gathered data, as well as continued use of the mapping vehicles. This is the approach taken by the likes of TomTom, Mobileye and Civil Maps. Cellular networks are de facto infrastructure assistants today, and we expect those capabilities to be enhanced. Connectivity is a nice-to-have for AV — not necessary. With the onset of 5G this will change a little bit, but AVs will always have to be able to operate without a connection, in our opinion. I think some OEMs and Tier1s will integrate the technology in advance of the full mandate and thereby reduce the time to widespread adoption. The benefits of V2V may not be fully realizable at first, but will increase as more equipped vehicles and infrastructure becomes available. It’s a false assumption that any one technology will resolve CV or AV positioning challenge. The challenging environments and user expectations for high availability and safety will require multiple sensors and systems. In this context, we see the CV as a critical stepping stone to the AV. CV provides a critical link for V2V communications in low/no-visibility/hidden-object situations as well as a pipe for critical mapping and road network information to the car. As part of this, the GNSS receiver plays a role in being an all-weather absolute position and time reference that can tie all the other sensors together. GNSS has its limitations, as do other sensors, which leads to the multi-sensor fusion approach for accuracy, availability and safety. The automotive industry’s understanding of GNSS performance is largely driving from the perspective of L1-only single- and dual-constellation receivers. 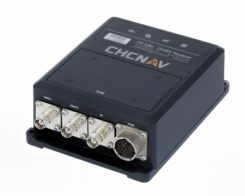 In both the CV and AV use cases, there is a push for more accuracy from GNSS. When moving to a higher performance expectation from GNSS, issues come up that are new to the automotive industry. For consistent sub-meter-level performance, we start to consider multi-frequency receivers with correction/integrity services supporting them. This is where we see PPP (precise point positioning) as a key technology. Taking advantage of our global PPP correction network for corrections, authentication and safety services will make this performance possible. Also, antenna quality and location become more important. In urban environments where GNSS is less available, we expect a multi-sensory solution to aid GNSS through outages, but still keep lane-level performance as long as possible and safe. Given the significant challenges on the automotive environment, I would expect that new and innovative ways of gathering and sharing additional information between vehicles and the infrastructure will be developed. It’s entirely feasible that future systems will share as much data as is practical, with the cloud to allow for better map generation and data dissemination. All of this will be driven by the need to keep the systems as available as possible while still maintaining safety. We expect to see early adopters integrating the technology ahead of the mandate in selected models such as GM with Cadillac-CTS planned for this year. Depending upon the applications to be supported, DSRC fleet penetration of over 70–80% is probably needed for it to become a truly all-round sensor. That’s why the forthcoming legislation in the U.S. is so important for solving the chicken-and-egg problem, as well as the development of aftermarket V2X. The combination of CV safety applications with features that use in-vehicle sensors would be a natural evolution. Sooner or later every vehicle will be able to see what others see. For Level 4 AV systems, GNSS is needed to unambiguously identify the road segment. Highway pilot should not be used off the highway; for lane-accurate positioning with integrity on the urban highway and main roads, we are using dual-band carrier phase positioning with wide area State Space Representation (SSR) corrections and automotive-grade INS. This combination of technologies can cope with the level of interruptions to carrier phase lock and the multipath distortion caused by bridges, signs, trees and buildings in such environments. As we move deeper into the urban canyon, additional measures will be needed. More advanced multipath mitigation, terrestrial ranging and beamforming techniques could contribute to the solution. V2I ranging is a particularly attractive and obvious example. However other ranging sources could also be utilized. Various beamforming approaches are possible with various levels of disadvantage regarding the accommodation of antenna arrays into the car. Inevitably, there will be periods of unavailability of GNSS-based lane-level accurate position deep in the urban canyon when required protection limits cannot be met within the required level of integrity risk. It is essential that these are managed properly in the reliance on different sensors at different times and, for lower levels of autonomy, in the interactions between machine and driver. We see automated driving as a related but separate evolution. The crux of the automated-driving problem is how to manage risk in such a complex scenario. Multiple sensors are being used by OEMs to determine the position of the vehicle with respect to roads and for collision avoidance. Those sensors include GNSS/IMU, radar and lidar, which have overlapping capabilities across conditions. This allows the decomposition of the Automotive Safety Integrity Level (ISO26262 ASIL) requirements. A combination of all of these sensors is required to meet the stringent safety goals. In that context, V2X will clearly play a role, but may not be seen as a prerequisite. The cooperative nature of V2X operation presents challenges for the application of functional safety methodologies like ISO26262. Partly for that reason, we do not expect the application of V2X to autonomous driving before 2025.